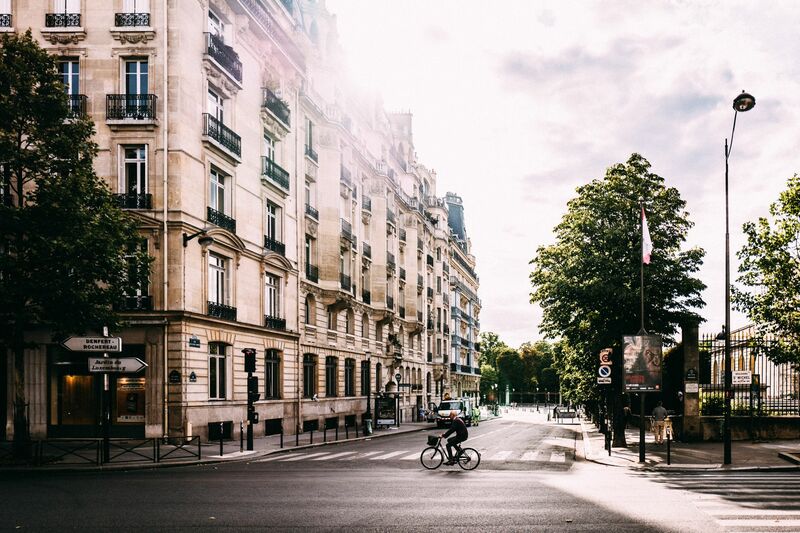 When most people think of Paris, they imagine cast-iron balustrades bordering the Métropolitan signs of the subway stations, iconic monuments and wide boulevards lined with boulangeries, bookshops and cafés. They don’t necessarily think of farms, or much green space at all for that matter outside of the Tuileries, and maybe Parc Monceau. City mayor Anne Hidalgo is on a mission to change that. 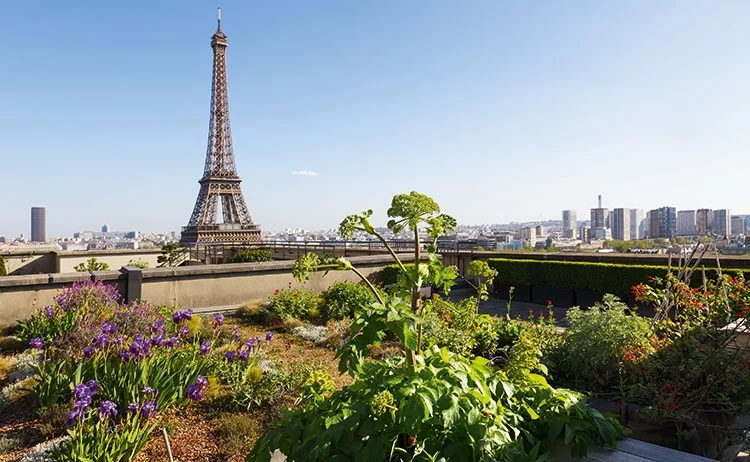 Upon announcing her intention to make Paris more “green,” the government in 2016 launched Parisculteurs—a project put in place to reach the government’s ambitious goal of converting one-third of the city’s green space into urban farms by covering its rooftops and walls with 247 acres (100 hectares) of vegetation by 2020. 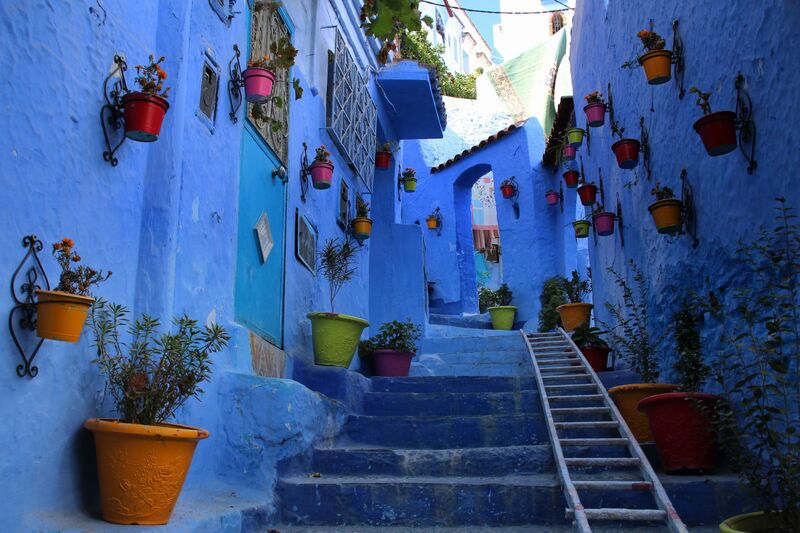 So in the spirit of sustainability, we rounded up our top spots for eco-friendly tourism in the City of Lights—from urban farms and restaurants to shopping and outdoor activities. 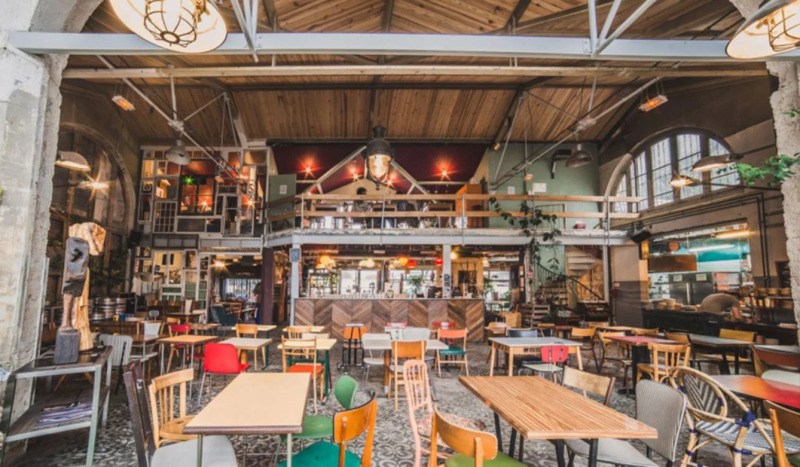 As Paris’ own eco-restaurant-bar, La REcyclerie is an experimental collective dedicated to repurposing and sustainability. Multiple comestible corners of the operation are each open for different segments of every day, such that one can pretty reliably find something to eat and drink from the made-in-house-daily menu of local, organic seasonal produce, fresh breads and ethically sourced meats at any point between 8am and 11:30pm. In addition to a cafe-canteen, La REcyclerie also functions as an urban farm, a collaborative pro-bono repair workshop and a learning and resource center, offering environmental ateliers, professional interventions and a private event space. Terroirs d’Avenir started out as a wholesale company dedicated to supplying the formidable Paris restaurant scene with heirloom and otherwise esoteric produce and has since expanded into conscientious consumer shops. Pointing to its portfolio of suppliers chosen on grounds of conservation, biodiversity and safeguarding landscapes, the operation offers to unburden the consumer from choosing products that are best for both themselves—for cost, taste and health—and the planet. 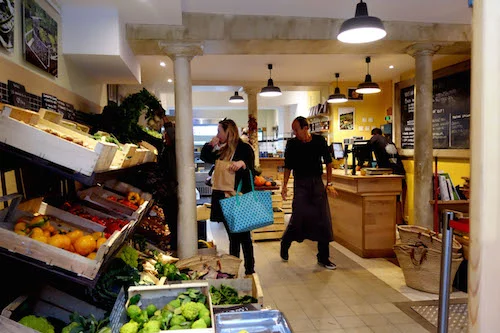 Both locations feature a grocer, a creamery and a fishmonger offering sustainable seafood, and the shop on Rue du Nil features as well a butchery of heirloom meat and a bakery that uses heritage grains and natural fermentation. 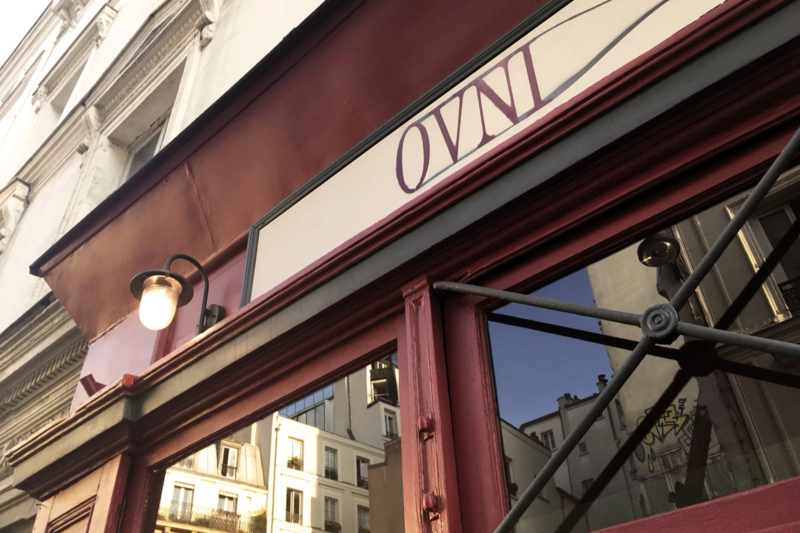 A play on the acronym for objet volant non identifié (the French version of Unidentified Flying Object), OVNI in this case stands for objets vinifiés naturellement identifiés which translates, loosely, to vinified objects identified as natural. 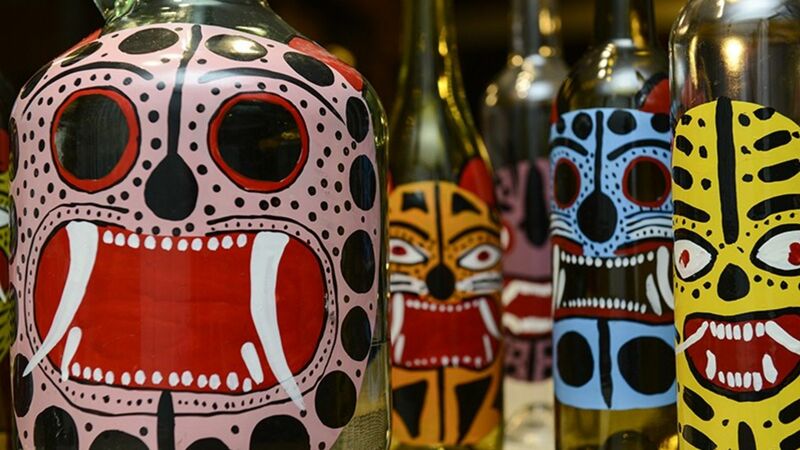 The shop is dedicated to organic and biodynamic wines and to collaborations with independent winemakers who promote sustainability as part of their vinicultural and viticultural practices. Charcuterie and cheeses local to featured wines are often also on offer, as well as a selection of craft beers for the eco-zythophiles in our midst. 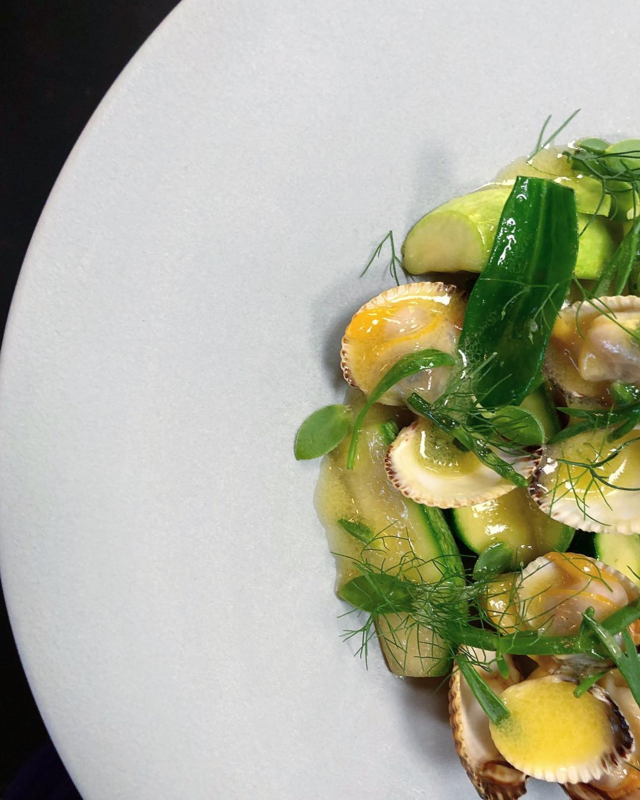 Bertrand Grébaut is making a splash on the Parisian culinary scene as chef-owner of Septime—which ranked #1 in sustainability on the World’s 50 Best Restaurants list in 2017. Dishes such as cockles with four types of baby zucchini and five types of wild herbs stand out on a menu rife with locally-sourced produce. Keep in mind, though, that it’s not an easy reservation to get, even if you manage to call exactly three weeks prior to your desired date. But then again, if you don’t get in, Septime’s seafood-focused sister restaurant, Clamato, is a great alternative just a stone’s throw away—as is its affiliated wine bar, Septime Cave. 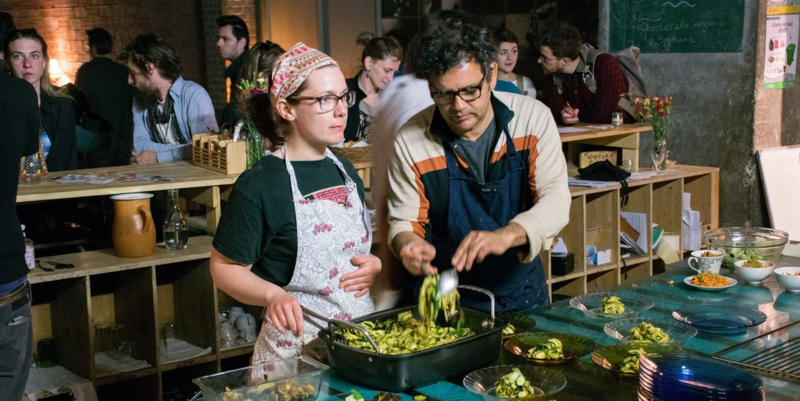 Billed as France’s first restaurant built truly on freeganism—the dietary practice of subsisting on foraged foods in opposition to resource waste—the Freegan Pony is also a veritably vast hole-in-the-wall. Its cavernous, flea market-furnished space sits behind a hard-to-find door, and sometimes it’s closed altogether on grounds of its law-flouting principles of operation and ambiguously-legal locale under the highway encircling Paris. 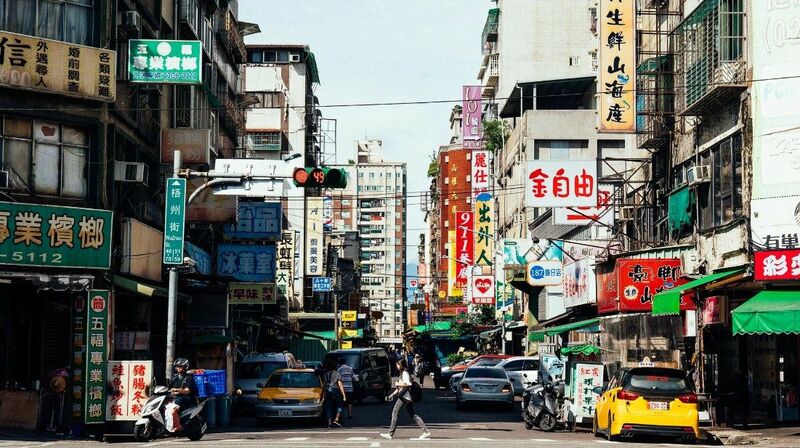 Each night’s menu is unique, dreamed up daily by a rotating team of professional chefs and volunteers according to what was recovered—mostly at Rungis International Market—that morning. With shops in the 1st, 3rd, 9th, 10th, 11th and 18th arrondissements, Altermundi is an easy find for clothing (for men, women and children) as well as housewares and gifts consistent with its principles of responsible commerce. Altermundi employs a series of pictograms to identify for consumers that a given item qualifies as coton biologique (organic cotton), mode éthique (ethical fashion), matériaux renouvelables (renewable materials), fabriqué en France (made in France), fabriqué en Europe (made in Europe), artisanat (artisanal), commerce équitable (fair trade), fabrication solidaire (humanitarian manufacture), produit partage (correspondent product sharing), upcycling, recyclable and/or zéro déchet (zero waste). 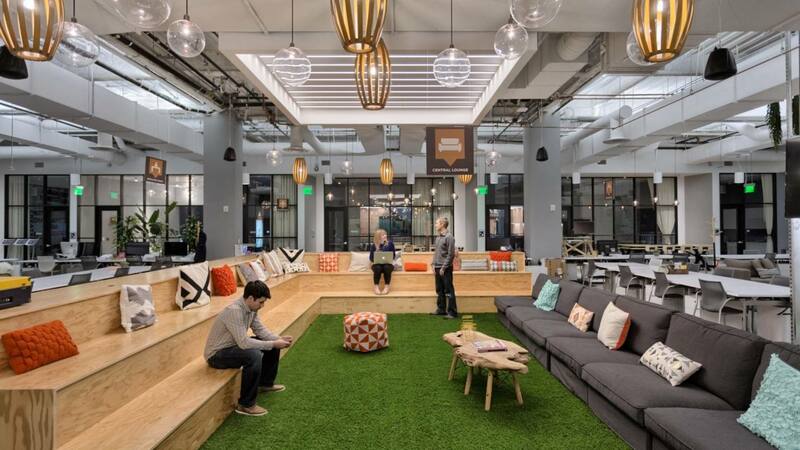 Perched on the edge of leafy park and garden Square Louise-Michel, the House of Zero Waste (as its name translates) is several eco-opportunities under one roof. 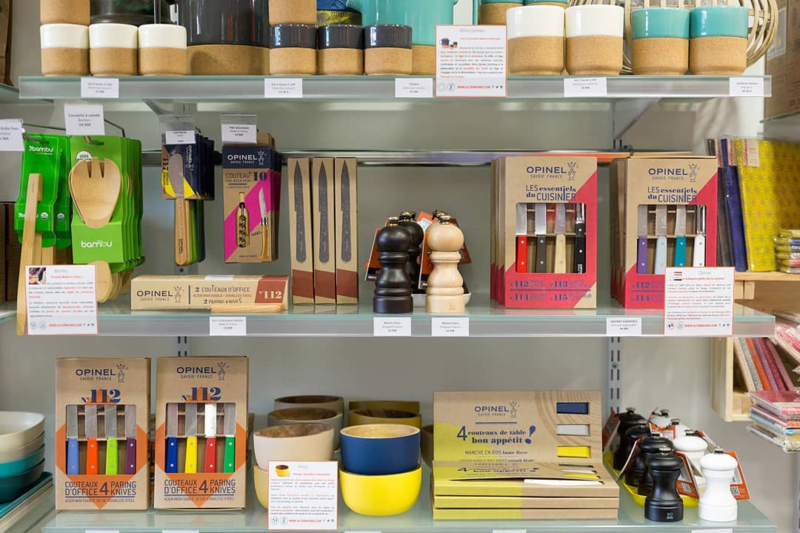 Its boutique offers food and drink in returnable (not to mention charmingly nouveau old-world) packaging, specialized books on the zero-waste mode of operation and such durable goods as compost bins, reusable bags and sustainable cosmetics. 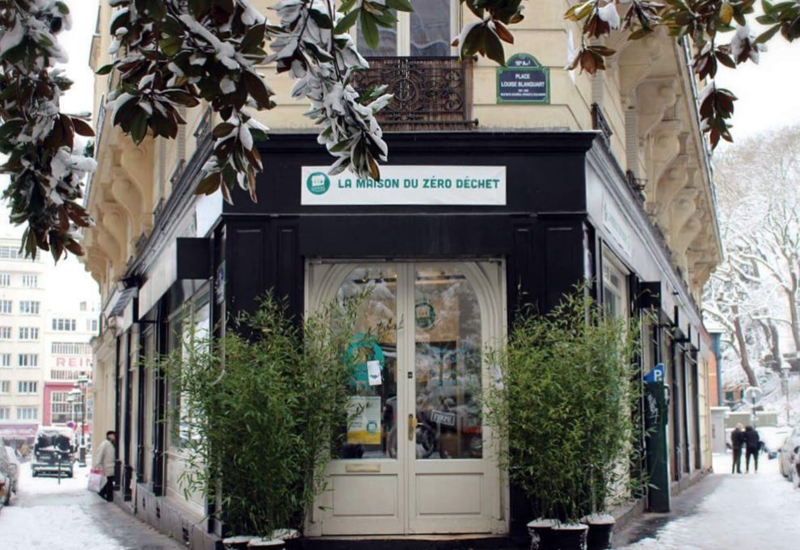 With multiple weekly workshops on topics like extending the life of your appliances, DIY shampoo and understanding environmental lobbies, la Maison du Zéro Déchet is less solely shopping than it is a Parisian model for elevated environmental living. 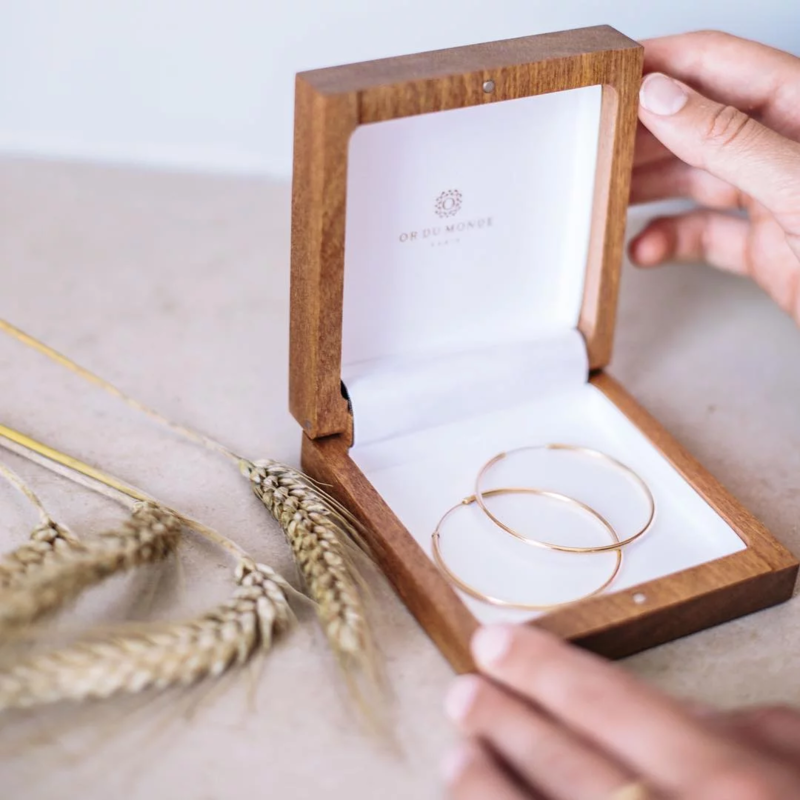 This high-end custom jeweler offers transparency diamonds sourced in accordance with the highest international standards of environmental sustainability and human rights, along with recycled gold. Their website is replete with environmental assessment meters of water, cyanide and mercury saved by using recycled gold. Jewelry can be ordered online (and shipped sustainably), or one can make an appointment to see a jeweler at the bijouterie. La Petite Ceinture is the now-defunct “little belt” railway that once carried material goods from depots to the center of Paris. For a period of time afterwards, it carried passengers. But come 1900, its services began to decline with the construction of the Métro, eventually ceasing altogether by the 1970s. What remains today are multiple sections of abandoned railway converted to hidden explorable green space. A segment in the 12th Arrondissement links to the Coulèe Verte Paris and typifies the city’s biodiversity, while one twice as long in the neighboring 13th (between Parcs Charles-Trenet and Moulin-de-la-Point) presents a more-recently-industrial cityscape, replete with seating; other points of access can be found in the 14th through 19th arrondissements. Bear in mind that none of these walks are formally maintained, and while there is thus much in the way of hidden gemology to be found, all must be explored with caution. 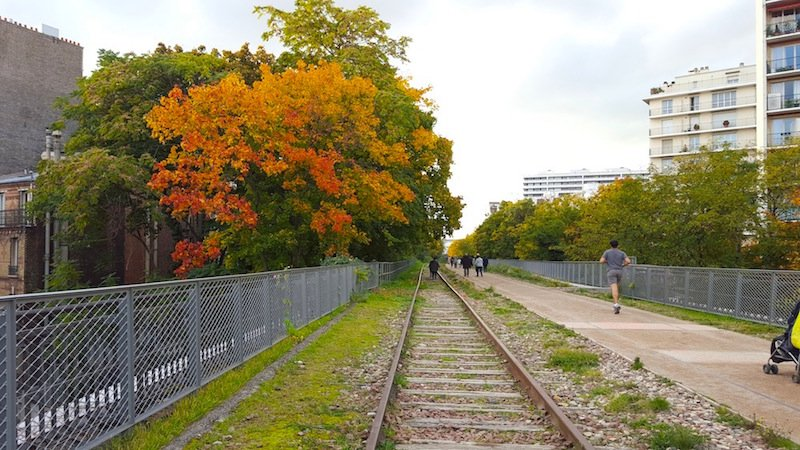 This free app (also with a web-browser version) provided by the Paris City Council features photographic previews, maps, audio guides and more to let you explore the city’s green space by foot on your own time and terms. 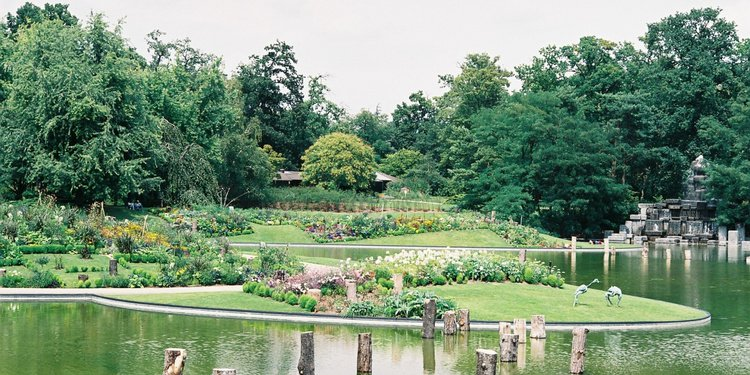 Roam through neighborhoods like Le Quartier Historique and discover different animal and plant species in le Parc Floral. With the geolocation function, you can even find the routes that are closest to you. In partnership with Sous Les Fraises (“under the strawberries”), an organic urban farming start-up, the roof of Paris’ iconic Galeries Lafayette department store is covered with more than 18,000 plants. Tours through the lush greenery are offered on Thursdays (4-5pm) and Saturdays (11:30am-12:30pm) for 39 euro, during which you’ll get the opportunity to sample freshly picked fruit, chat with farmers and leave with some treats. Bonus points for the fact that you’ll also get unrivaled views of the Eiffel Tower, Montmartre, Notre Dame and the Garnier Opera House from this under-the-radar rooftop. Looking for a complete guide to the City of Lights with a list of must-see sights, neighborhoods and restaurants? We've got you covered.